Claudia Ng is obviously a big fan of Pokémon. So much so that she decided to design 3D printed planters in the shape of her “personal favourite starter Pokémon”, Bulbasaur. 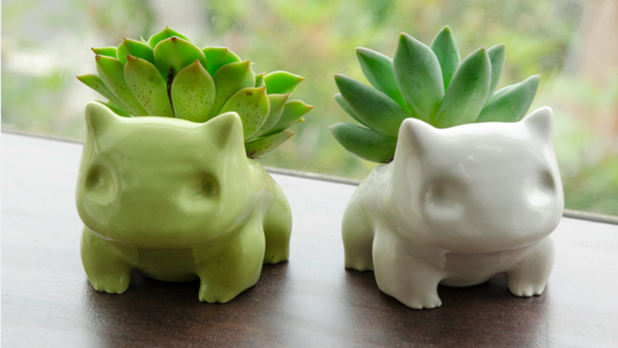 She posted and offered these ceramic planters for sale on Shapeways, an online marketplace for 3D printed items. According to a GameZone post, the original Shapeways page featuring the planters was pulled when the website got a takedown request from Nintendo saying that the planters infringed its copyright. Much like YouTube and Facebook, Shapeways has a copyright content policy and takedown procedure (outlined here) which allows copyright holders to address these issues quickly and effectively. According to Ms. Ng, Nintendo asked that the page be taken down and for all monies generated from products already shipped by Shapeways. It is unclear whether Nintendo will pursue any formal copyright infringement proceedings against Ms. Ng or the Shapeways website. Its recourse against the latter may be significantly curtailed depending on the forum of a potential suit. This is because many countries, including the U.S. and Canada, have enacted provisions in their respective copyright laws limiting the liability of internet intermediaries or ISPs. 3D printing technology promises to hold many challenges to IP rights holders. These challenges will extend beyond the copyright space to touch patents and trademarks as well. On the bright side, rights holders should be encouraged by Shapeways’ response to this claim and hope that other players in the 3D printing market follow suit. From the perspective of someone looking to create and sell content on these sites, takedown policies will always be a looming nuisance. There will invariably be frivolous claims and false claims of infringement made out of malice. It may sometimes prove difficult (and costly) to discern legitimate from illegitimate copyright claims. One need only look at YouTube’s copyright policy to get a notion of the major machinery involved in implementing a fair copyright takedown system. Google has developed a highly advanced ContentID system whereby rights holders may submit reference files to YouTube of their copyright protected audio and audiovisual works. YouTube compares all videos uploaded to its service to the content stored in this reference database to weed out infringing uploads. YouTube has created a manual copyright claim process for those uploads that are missed by this system. Instead of each claim resulting in an automatic takedown, the policy allows for a time period during which the uploader may make a “counter-claim”. The original claimant may also withdraw an erroneous claim during this period. Google has the funds and manpower to do this; smaller websites may not. Since national laws, such as the ISP safe harbour provisions in the American DMCA, often require that qualifying ISPs have a robust takedown procedure, websites like Shapeways are more likely to favour caution and adopt a policy of “when in doubt, take it down”. The hope is that this reality does not have a chilling effect on the productivity enabled by the exciting new technology that is 3D printing and the innovative services growing around it.